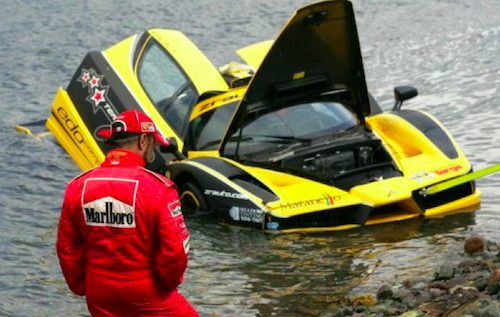 For a car enthusiast like me, it's always painful to hear when a supercar get crashed. 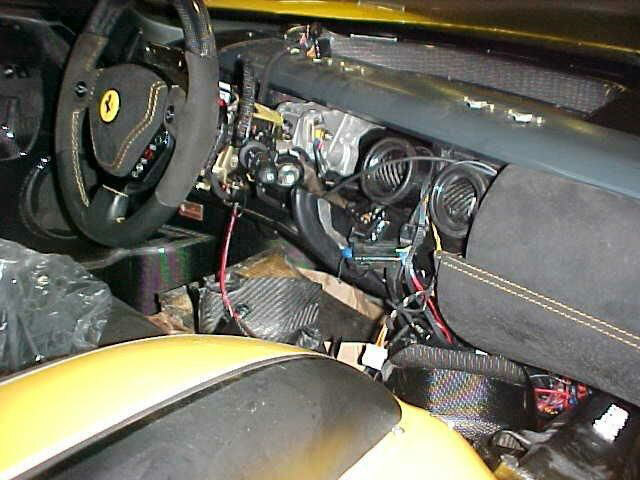 Recently, a yellow Ferrari Enzo owned by Zahir Rana. There are just 399 Ferrari Enzo in the world, but technically much less, since over a dozen has been crashed in the history. 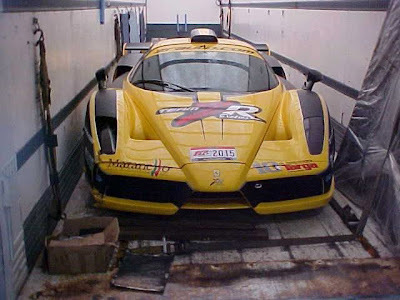 Even worse, his Ferrari Enzo was pretty unique. It was modified by german tuner Edo Competition, making it faster and more exclusive than a " standard " Enzo. The incident took place during the Targa Newfoundland Rally 2011. The car lost the traction while accelerating on the gravel, ending his race straight into the ocean. Luckily, the driver and navigator went out the car without injuries. In the video you can see also an interview of Zahir Rana just after the crash, and i don't even know how he can be so calm and relaxed after crashing a over milion dollars Ferrari. Anyway, the car is back in Germany to EDO Competition for a complete fix. Hope to see this car again in action! No comment on this!!! Guy is idiot!!! !